Which Haircut Best Fits Your Face? Here are a few tips with some photos on which hairstyle would best suit your face. The shoulder length haircut is ideal for you, because it will visually elongate your face and the thick fringe bangs will accentuate your cheekbones. Again, shoulder length haircut is also ideal if you have square face. You should definitely opt for soft and layered haircut that will hide your accentuated jaw line. In order to visually minimize the effect of your big forehead, just place the bangs from one side to the other, as shown in the picture. The mega popular pixie haircut is perfect for you, because with it you’ll accentuate your eyes and cheekbones. Another haircut you can opt for is the multi-layered bob. The layers that go below the eyes are only going to make your face look chubbier. 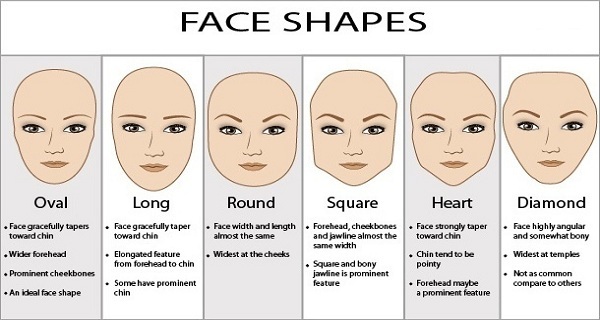 Women with oval face should avoid boring, straight and long hair. The shoulder length haircut or longer is perfect, but it should be layered in order to get that pyramid shape, which will contrast the round face. In that way the structure of bones will be accentuated. The shoulder length haircut is ideal for this type of face, which is the same as layered haircuts. It is also recommended to have a few short wisps falling through your forehead. In order to balance out the hair length with the lock of hair due to the big forehead, it is necessary for the haircut to be layered. The layered haircut will accentuate your cheekbones.